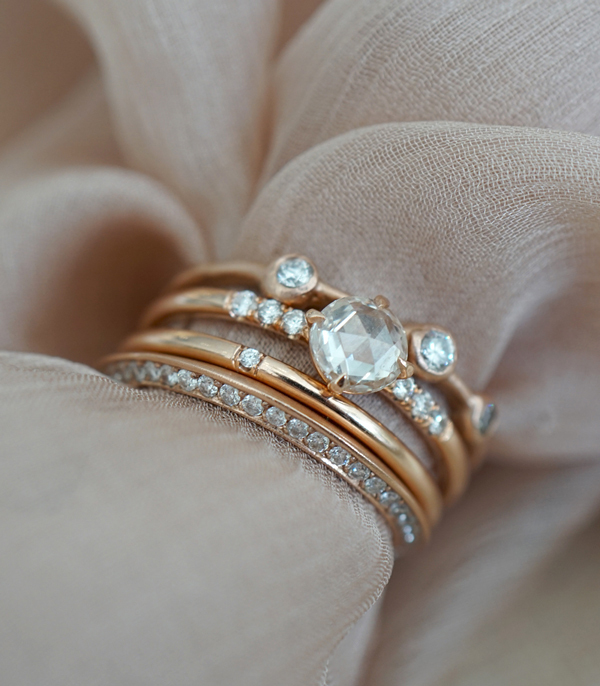 Pinked to perfection, the Rosy Stack is true to her name and center stone. 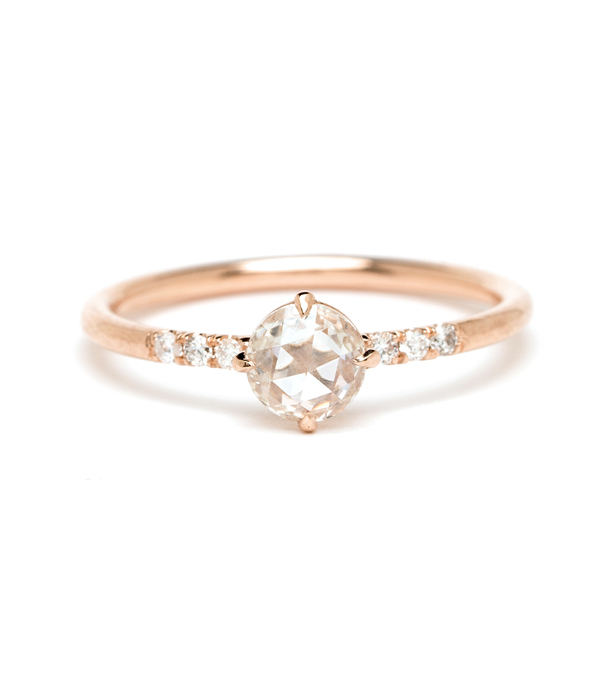 She boasts a gorgeous 0.41ct Rose Cut center stone along with LOTS of sparkly diamonds and mixed textured rose gold. 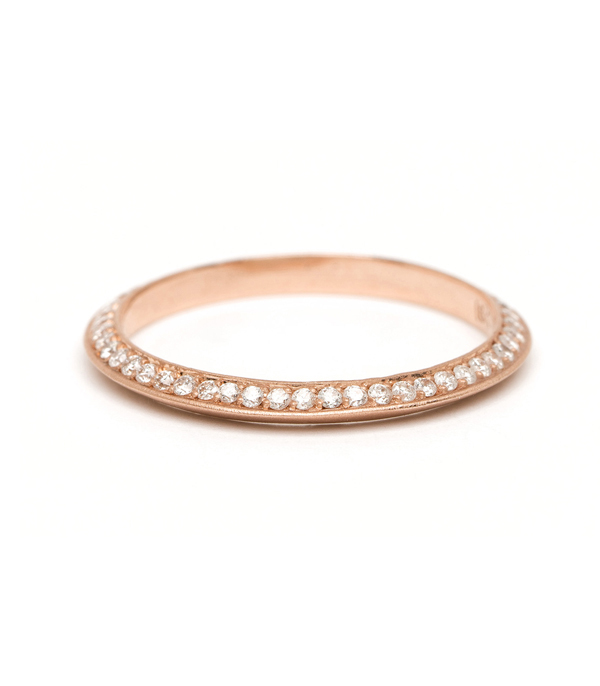 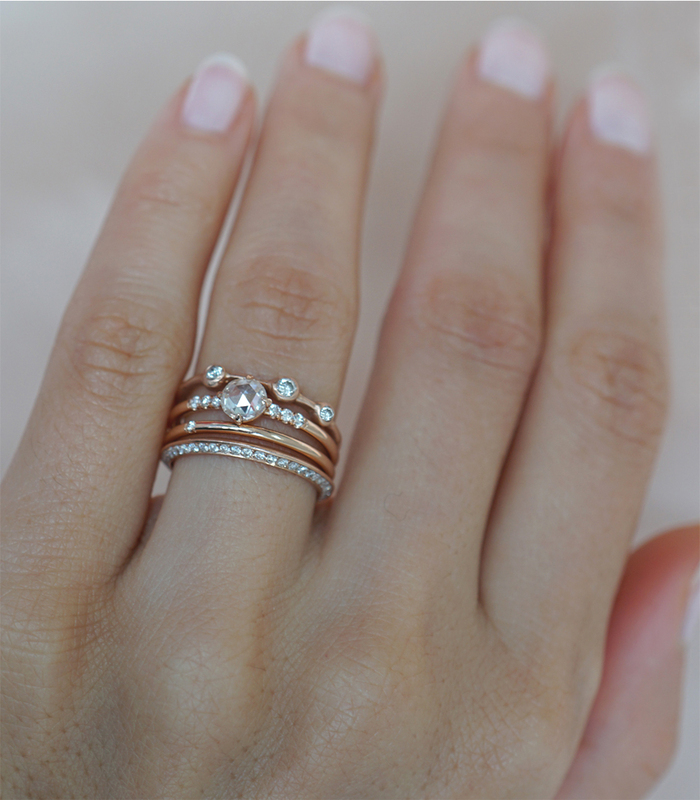 The subtle sparkle of the Rose Cut and feminine color makes this the go-to stack for springtime! 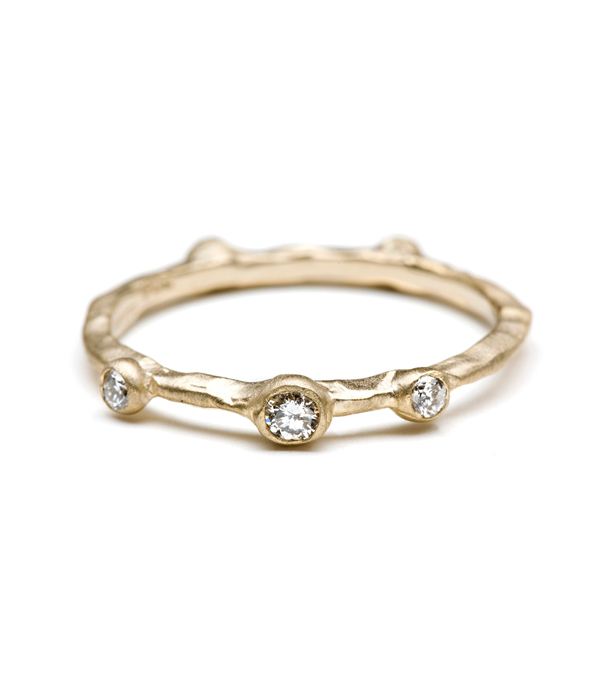 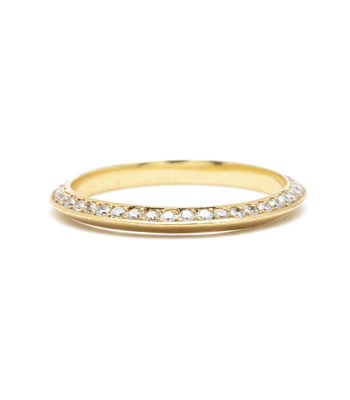 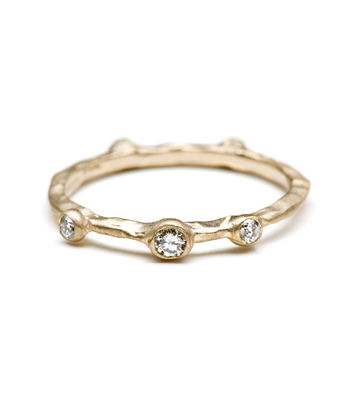 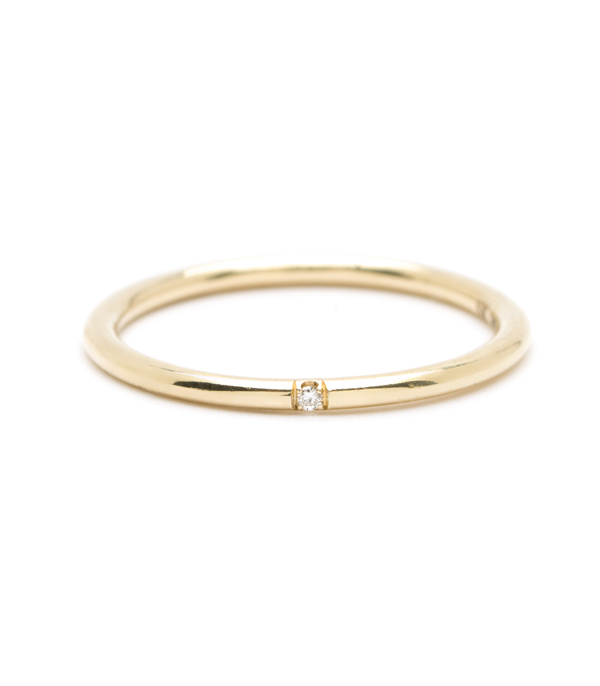 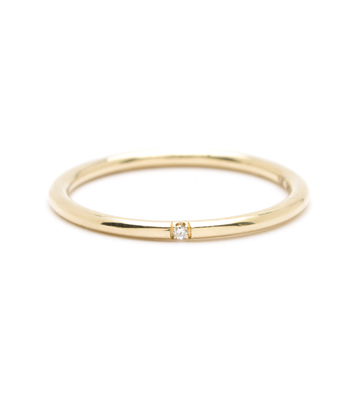 The Textured Supernova Stacking Ring rests upon the Simple Solitaire Rose Cut ring, followed by the Classic One Diamond Band and the Knife Edge Band with Diamonds.